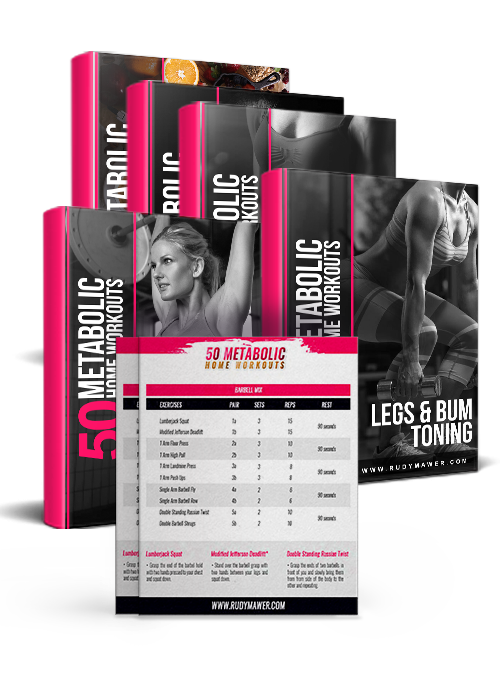 The 50 Metabolic Home Workouts provide 50 advanced home workouts that provide a gym like calorie and fat burn from your own home. Tried and tested over the years, these home HIIT workouts ignite your metabolism to shred bodyfat for up-to 48 hours after the workout! Includes workouts to suit your needs, goals and equipment, from bodyweight to full home gyms!